What happened to Syria, ISIS? And what about Iran? « Back to Everyone Gets a Trophy! & Out of Trump Love? 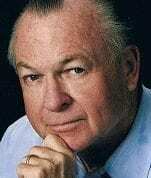 Major Gen (ret) Paul Vallely joins Joe to discuss what’s NOT being reported about what’s happening overseas! And what’s not being reported accurately. ISIS isn’t the big problem anymore. It’s Iran. It’s pretty bad that I have to go to Russian TV to find out facts about what’s going on in the world. CNN doesn’t cover that! Russians are not the enemy media portrays them to be. With the Chinese… trust but verify.